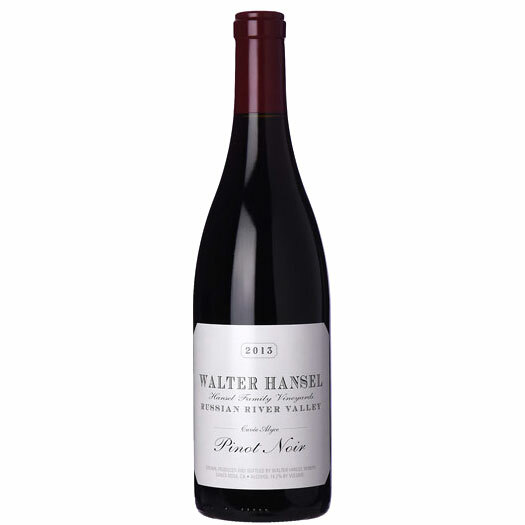 The 2014 Pinot Noir Estate is another realistically priced wine from Stephen Hansel and is a super value with its sweet cherry and raspberry fruit, allspice, subtle background oak and a medium to full body. It is a beautiful wine made mostly from Rochioli cuttings and a small amount of the Joseph Swan clone. Like most of these Pinot Noirs, it sees about 60% new French oak and the rest used barrels. All of these Pinot Noirs are bottled unfined and unfiltered just like the Chardonnays.